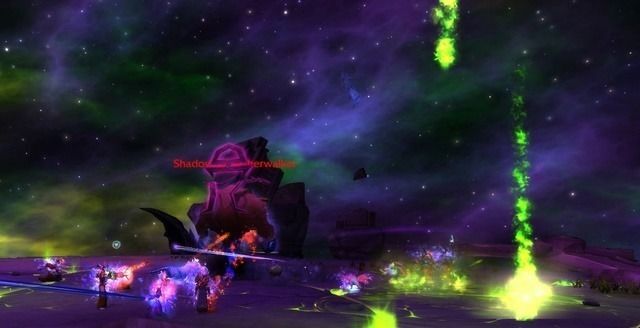 Hellfire Citadel is a five wing instance that allows World of Warcraft players to face bosses in a somewhat non-linear order. Unlike previous guides, we cannot provide the most optimal order raid teams should encounter these 13 bosses. Refer to the in-game raid journal (shift J) determining which order to face them depending on team composition and skill. The Black Gate appears to be a deadend in the pursuit of Gul'dan. However, he and his Shadow Council have been quickly errecting a new portal that summons the final boss in Hellfire Citadel, Archimonde. 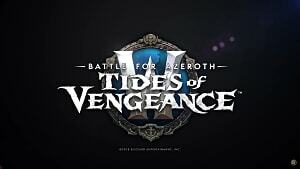 All other bosses within will need to have been defeated before facing against the left hand of the Burning Legion. 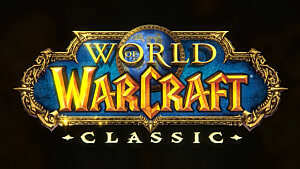 The other wings for Hellfire Citadel includes: Hell Breach, Halls of Blood, Bastion of Shadows, and Destructor's Rise. The following rating is based on a first impression and defeat of the boss. 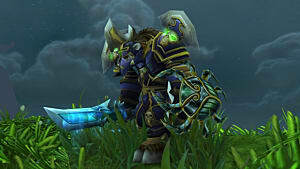 Archimonde is a three-phase, multi-target encounter that require add priority, raid coordination, and heavy movement. Be prepared for a long ordeal against this boss. Each time his health is reduced by 15%, he will gain new abilities and phase transitions will be triggered at 70% and 40% health. At the beginning of this fight, Archimonde will summon a stationary Doomfire Spirit. 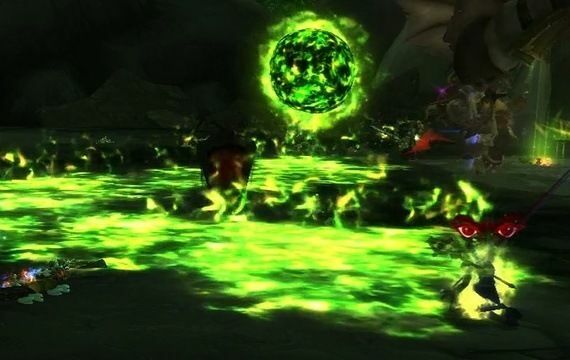 So long as this orb of fel fire remains alive, it will fixate on a random player and draw a line of Doomfire towards its target for 10 seconds before choosing a new target. The Doomfire will persist throughout most the first two phases of the encounter. Any who stand in the ground effect will gain a stacking debuff that will deal minor Fire damage every 8 seconds. It will be crucial for players to keep this away from the rest of the raid as more and more Doomfire Spirits will be summoned. Unfortunately, all that careful placement goes away when the boss pulls all the Doomfire to several player’s location with Allure of Flames. To keep all the Doomfire together, the entire raid should stack together before quickly moving away to avoid gaining the stacking debuff. Similar to Hyjal Summit raid in the Caverns of Time, players will periodically be knocked into the air with Shadowfel Burst and any others within 8 yards of them. However, there are no Tears of the Goddess to safely land as now those knocked into the air will explode for massive Shadow damage. 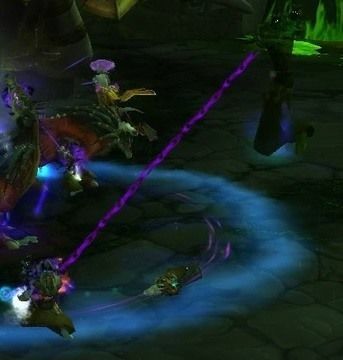 Fellow raid members should stand in the purple indicator to “catch” them as well as split the damage. Finally, Archimonde will brand his current threatening target with Death Brand. This will inflict major Shadow damage as well as addition Shadow damamge until the summoned Hellfire Deathcaller is killed. These Hellfire Deathcallers will randomly blast several players with demonic energy using Shadow Blast. This will inflict a stacking debuff that will moderate Shadow damage and increase Shadow damage taken by 25% for 30 seconds. Tanks should swap every 3 Shadow Blast debuff and strong cooldowns when first Branded. Once Archimond reaches 85% health, he will summon corruption that will erupt from the ground with Desecrate and inflict heavy Physical damage to any within 10 yards of the targeted location. Once the Spire of Desecration is summoned from the ground, it will continue to deal moderate Shadow damage every 3 seconds to the entire raid. This damage will increase with each active spire. Alliance hero, Yrel will aid the raid by attacking any Spire of Desecration that is up. As she shatters them she will use the Light of the Naaru to create orbs of light for 35 seconds. Each orb will grant all players within 15 yards the Light of the Naaru buff for 30 seconds that will protect them from all Shadow damage and increase movement speed by 40% when picked up. If Archimond is pushed into next phase, Yrel will use Purifying Light to destroy all Spires of Desecration (unsure of this actually happening--noted in Dungeon Journal). At 70% health, Archimonde will no longer summon Doomfire Spirits and will not cast Shadowfel Burst as he will call upon new powers to destroy his enemies: Shackled Torment and Wrought Chaos. However, players will still need to stack for each cast of Allure of Flames. 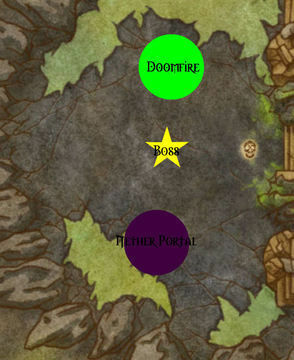 Three random players will have their souls tormented by the boss from Shackled Torment. This will inflict increasing Shadow damage every second if the player doesn’t move 30 yards away from their soul. Once they sever the chain between their soul, they will Unleash Torment and explode with major Shadow damage to all players. Throughout Phase 2, players will be branded by the boss with Wrought Chaos and have several stacks of chaotic energy. 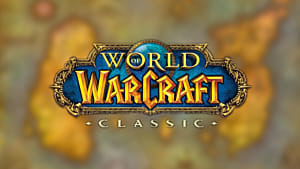 The player afflicted with Wrought Chaos will randomly target another player as their Focus Chaos and explode with major Fire damage for any caught in between. This will cause Wrought Chaos to jump to the Focus Chaos target with one less stack. This will require high awareness for the players to quickly move to one side. Wrought Chaos will have a large green arrow indicator so the rest of the raid can avoid being between them. 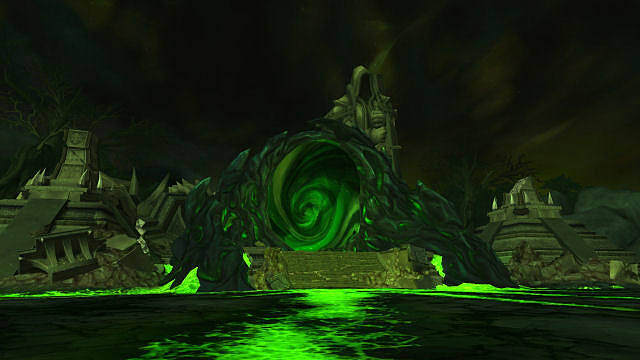 Archimonde will begin to summon the vanguard of the Burning Legion when he has 55% health remaining. 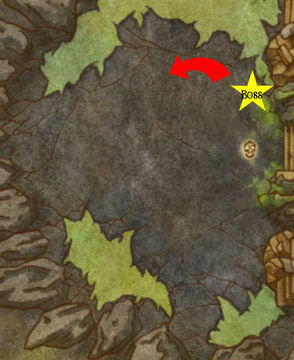 Felborne Overfiends and Dreadstalkers will being to spawn outside of the encounter area and should be picked up by the tanks. Felborne Overfiends have one ability that is interruptible called Heart of Argus. This will unleash the Flames of Argus every time their health drops 25% inflicting moderate Fire damage raid-wide. Again, this should be interrupted to avoid it coupling with other damaging abilities for the remainder of Phase 2. The Dreadstalkers will teleport to a random player and unleash a shrill cry to any enemies within 8 yards of them with Consume Magic. This will inflict moderate Shadow damage to any within their area of effect as well as interrupt spell casting for 3 seconds. So move away from their new location each time. Archimonde will go into his final phase when he has 40% health remaining. Now he will call upon the Twisting Nether itself to give him aid with several new abilities. This phase transition will cause him to no longer Death Brand tanks—ceasing the summons of Hellfire Deathcallers—and to cast Allure of Flames and reposition Doomfire. During this phase, the remain Doomfire should begin to despawn as well. Raiders will still have to continue passing Wrought Chaos off to one side to avoid hitting any between them as well as dealing with Shackled Torment. The boss will cast Demonic Feedback which will cause moderate Shadow damage and addition splash Shadow damage to any within 6 yards of each other. That means that the entire raid should be spread out roughly 6 yards from each before the ability is off cooldown, otherwise the raid should try to stack directly under the boss. 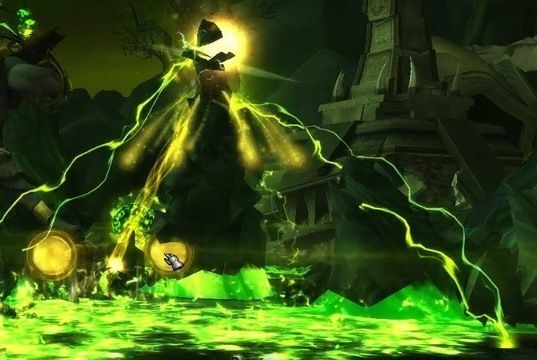 Since Death Brand is gone during this phase, Archimonde will instead mark his current target and banish them and everthing within 8 yards of them after 8 seconds to the Twisting Nether with Nether Banish leaving a tear with the Nether Portal. 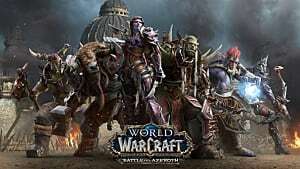 This is a forced tank swap mechanic and raid teams should organize which healer is partnered with each tank plus addition DPS. Those outside of the Nether will have to deal with Living Shadows that will spawn from the Nether Portal. These Living Shadows will spawn at an increased rate the longer the Portal is up. And their singular goal is to Devour Life. They will fixate on a target and explode with heavy Shadow damage as well as reducing healing and absorption received by 40% for 45 seconds. Again, tanks will be forced to swap with Nether Banish which will send them and any others within 8 yards of them into the Twisting Nether. Those who join in the Nether will immediately gain a debuff of Nether Corruption. This will inflict stacking Shadow damage every 5.2 seconds by 8% for one minute. If players remain in the Nether too long, they’ll die. While in the Nether, players should watch out for periodic Nether Storms that will cause a rain of fire to fall a small area and inflict moderate Fire damage to any within the targeted area each second. Keep an eye out for green circle effects and move out. 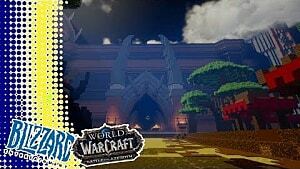 There will be two adds to watch for as well inside the Nether: Void Stars and a Shadowed Netherwalker. The Void Star will form within the Twisting Nether and fixate on a random player. If it reaches its target, it will explode and knock all players within 8 yards away. Overtime, they will gain Dark Pursuit that will increase their movement speed by 50% every 5 seconds. To escape from the Nether Shadowed Netherwalker, will need to be defeated. The banished tank should pick up the voidlord and interrupt its only cast ability. Shadowed Netherwalkers will use Touch of Shadows to unleash a waves to inflict Shadow damage to all players in the Nether. Once the Netherwalker is defeated, it will collapse the Twisting Nether around it with Collapsing Void. 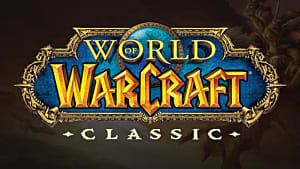 This will cause a rift that will teleport players back to Draenor. Once Archimonde reaches 25% health, the encounter will be a dps race to the finish as he will summon a massive meteor to destroy Draenor. This will cause Rain of Chaos to deal moderate Fire damage to all players with each meteor impact. But this can be reduced the farther away players are from the point of impact. Periodically with each meteor impact, roughly 3 Infernal Doombringers will form. Once they reach full energy, they will radiate with Hellfire that will inflict moderate Fire damage to all players within 40 yards of these adds every second. However, if they are within 15 yards of each other they will gain Eternal Flame that will heal them for 8% of their maximum health every second. 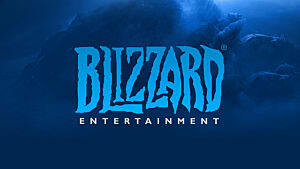 Each tank should pick up at least one of the Doombringers while either a plate DPS or hunter kites the third, keeping them roughly 15 yards apart. These can be slowed and stunned. Bloodlust/Heroism/Time Warp after all players return from the Nether when the boss is at or below 25% health. DPS Legendary ring should be used to help kill high-priority targets. During phase 3, Nether teams can use their rings to escape the realm quickly while the rest could use it for addition damage on the boss and Doombringers. Healing Legendary ring should be used after heavy raid-wide damage. Tank Legendary ring should be used to mitigate heavy damage from Death Brand. 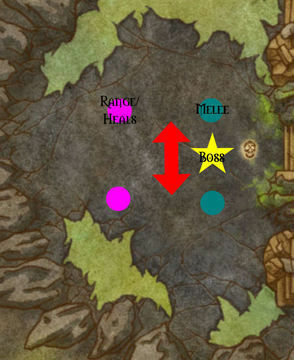 Raid teams can deal with Allure of Flames two ways: 1. everyone stack under the boss before casting, slowly kiting him around the edge of the encounter or 2. have melee and range have their own separate stacks and move from point A to B each Allure of Flames. Phase 1 kill priority Doomfire Spirit > Hellfire Deathcaller > Boss. Shackled Torment players should break their connection with their soul one at a time to avoid heavy raid-wide damage. Phase 2 kill priority Hellfire Deathcaller > Felborne Overfiend > Dreadstalker > Boss. Any Nether Portals should be positioned to the edge of the encounter area opposite from any remaining Doomfire in Phase 3. A few range DPS should be assigned to kill Living Shadow during Phase 3. Assign two groups to join the tanks in the Nether. This should include one healer and 3-5 dps, but be aware the debuff needs to drop so they can’t reenter every Banish. Phase 3 Nether kill priority Void Star > Shadowed Netherwalkers. 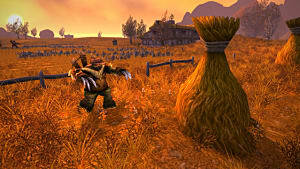 Once Archimonde hits 25%, players will still need to enter the Nether. Be prepared to sacrifice 3 of your raiders and pray for a kill.